Fitness trackers don't get more chic than the Steel range of watches from Withings. 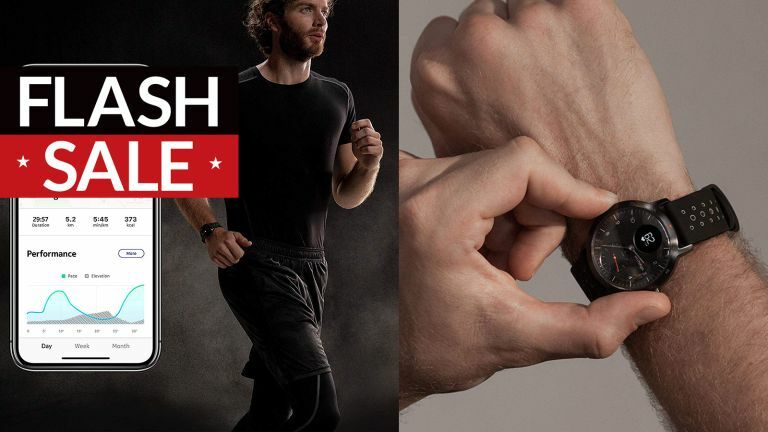 They started out as basic step counters but the latest and greatest model adds pulse monitoring – both all-day and during exercise – and tracking of multiple sports, as well as calendar, call and messaging notifications (albeit rather small ones, given the size of the screen). It's part of a deal which sees the whole Withings range of trackers discounted for one day only, at Amazon. This chic unisex watch fulfils the main requirement of a fitness wearable: you'll actually want to wear it. The heart rate tracker takes regular readings during the day and overnight, and tracks continuously when you're exercising, so you can see how hard you've worked out, really.